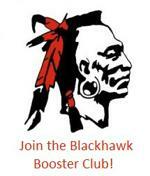 Welcome to the home of Blackhawk Athletics! Here you will be able to find everything you need from season schedules, athletic participation forms, coaches contact information and much more to stay up to date on Blackhawk Athletics. Thank you for your support! ©2019 Fort Atkinson High School / SportsEngine. All Rights Reserved.